You want to secure a balcony or a terrace while vusually preserving your outdoor space? Choose our knotted netting. Discreet, these nets are aesthetic and will bring a stylish nautical finish to your outdoors at an affordable price. - We recommend knotted netting as th thread is finer ant the netting wider than that of braided netting. It will therefore be more discreet on your terrace or balcony and will let light pass through. We provide 2 types of knotted netting netting : F5050N and F6060N. - F5050N is knotted with 50 mm netting. It is provided wih or without a bolt rope and in white. - F6060N is knotted with 60 mm netting. 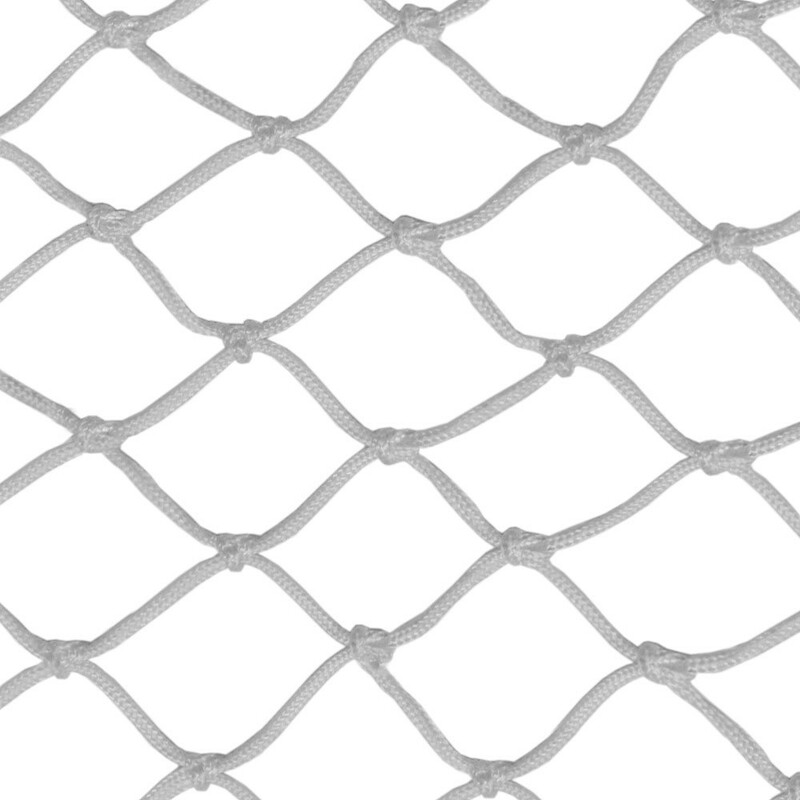 This net is provided in black and can be made with or without a bolt rope. - These 2 models are made from 530g/m² polyamide and is proteced against UV light. This netting is the same as the one used on catamarans, it is therefore made to resist to extreme conditions and can be used outdoors. - Both nettings can withstand up to 200kg/ m² : in case of a fall the netting can hold back a chld and even an adult. 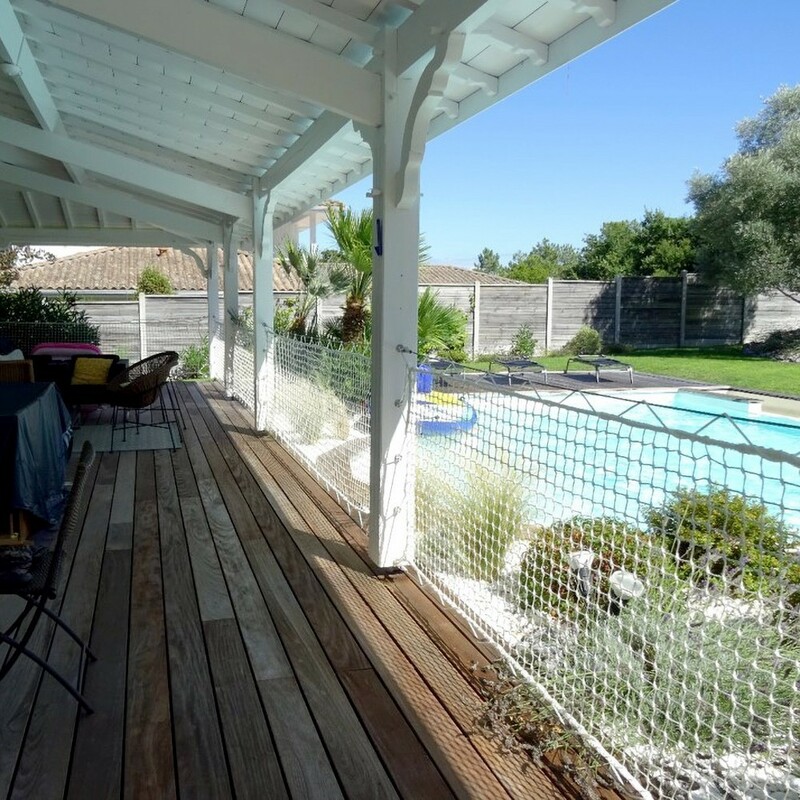 - We advise you to choose a net without a bolt rope, which will allow you to attaach the netting directly onto hooks, the you will have previously screwed into your supporting frame (wood, concrete).